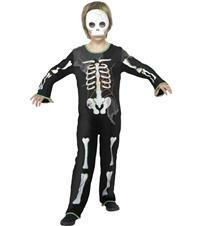 Take your skeletons out of the closet in the literal sense with this Skeleton Child costume! Perfect for Halloween or just bumping around in the night. Let your kid give a body to this Skeleton costume!